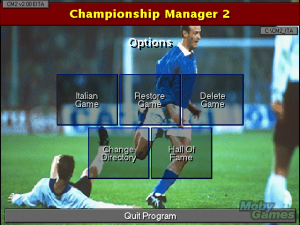 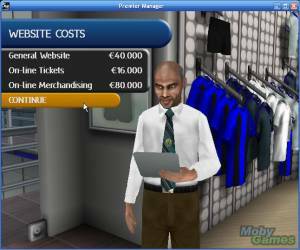 European 2 is a football management game in which the player takes on the European Cup in its old form as a pure knock-out competition. 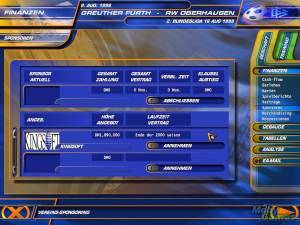 There are seven skill levels, which determine the quality of the player's team - alternatively each player's abilities specifically can be typed in. 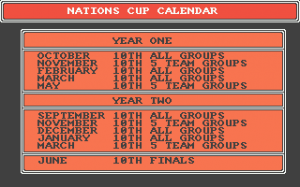 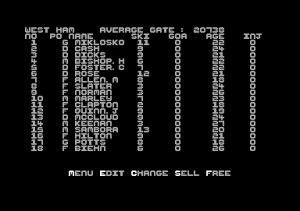 The player can also import saved squads from the same company's Premier 2, as the systems used in both games are identical.